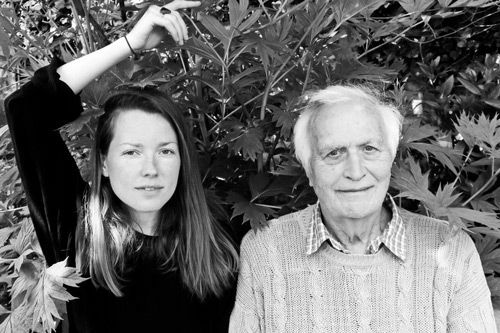 The UK premiere of this new collaboration by pioneer of synthesiser technology Peter Zinovieff and cellist Lucy Railton. A year in the making, RFG is a 40-minute piece for cello and computer combining a live instrumental part and an assemblage of pre-recorded, manipulated material forming an “orchestral” counterpart. Designed for performance with 7 spatially configured loudspeakers, RFG articulates a bold and luminous meshing of voices, a visceral encounter between a venerated technological innovator and one of today’s leading instrumentalists. Peter Zinovieff is best known as the founder of London’s Electronic Music Studio, where he spent the late 1960s developing the ground-breaking VCS3 synthesiser. EMS was a legendary hub of innovation for electronic music, traversing the popular, experimental and avant garde domains. Zinovieff has also worked closely with figures such as Harrison Birtwistle (The Mask Of Orpheus for English National Opera, Royal Opera House) and Hans Werner Henze, and has been hailed for his pioneering work by artists and writers across the board. London and Berlin based musician Lucy Railton is considered one of the leading instrumentalists working in experimental and electronic new music today. As a performer some past collaboration include those with Aisha Orazbayeva, Kit Downes, Linder Sterling, Russell Haswell and Chris Watson. Original work has been made for films by Emma Critchley and Rebecca Salvadori, sound installations for Philippe Parreno and composition for dance productions by Sasha Milavic Davis and Akram Khan. Lucy is also co-director of the London Contemporary Music Festival and founder of Kammer Klang.